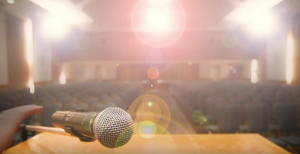 Today’s comedy superstars, especially those whose careers are driven by television, may very well owe their success to pioneering Jewish entertainer Milton Berle. Born Mendel Berlinger in Manhattan in 1908, Berle became America’s first small-screen star. Aptly nicknamed “Mr. Television,” he influenced and helped promote the work of hundreds of younger comics. Berle’s close friend Lou Zigman, a Los Angeles-based labor lawyer and Brooklyn native, disagrees with Epstein’s use of the word “meteoric,” arguing that Berle never burned out like a meteor does. Berle kept performing, assisting other comics, giving to charities and spreading Jewish culture until his death, and he was even performing card tricks as a hospital patient at age 90, according to Zigman. At age 5, Berle won an amateur talent contest and appeared as a child actor in silent films. He became a vaudevillian at age 12 in a revival of the musical comedy Florodora in Atlantic City, N.J., and was hired by producer Jack White in 1933 to star in Poppin’ the Cork, a musical comedy concerning the repealing of Prohibition. From 1934-36, Berle was heard frequently on The Rudy Vallee Hour radio show and attracted publicity as a regular on The Gillette Original Community Sing, a Sunday night comedy-variety radio program broadcast on CBS. 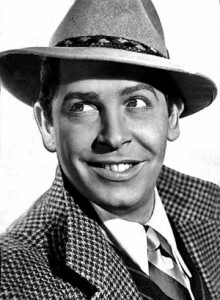 Then came the Milton Berle Show, a variety format he would revive for his television debut.